When Americans hear of a “Big Three,” nostalgia might take their minds to competitors in the automotive industry or the early television networks. Fans of the runaway NBC television hit "This is Us" may shed uncontrollable tears when hearing the phrase. 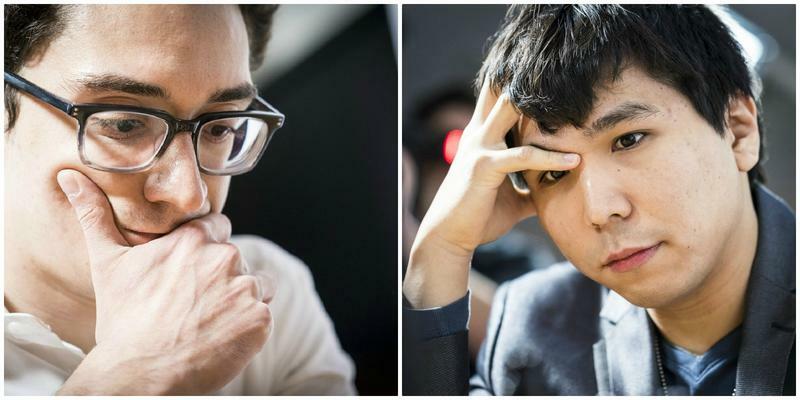 Today’s American chess fans know Fabiano Caruana, Hikaru Nakamura and Wesley So as the “Big Three.” They represent the United States. St. Louis and the St.Louis Chess Club and have played an integral role in raising the standards of American chess. 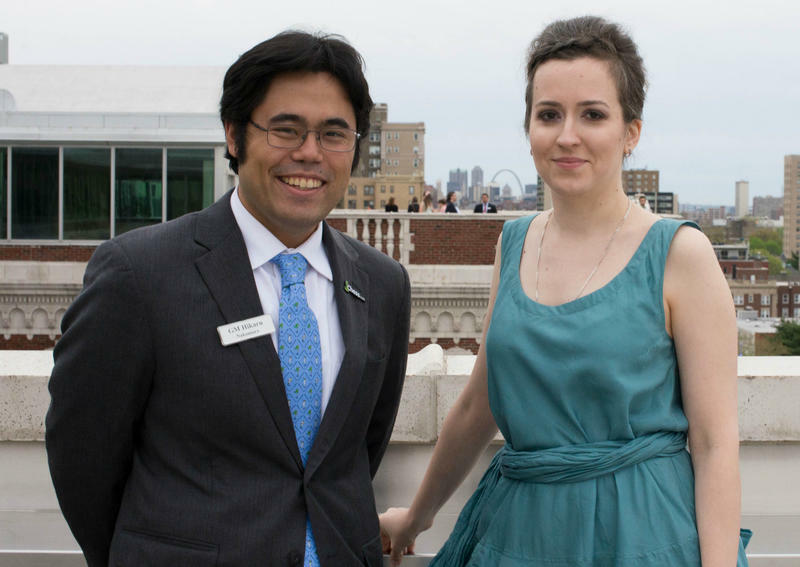 The first of 10 straight U.S. and U.S. Women’s Championships held in St. Louis were played in 2009, with Nakamura, then a newly-minted 2700 FIDE, reigning supreme for his second title. The World Chess Championship dates back to 1886. In fact, St. Louis played host to a portion of the very first world championship, between Johannes Zukertort and Wilhelm Steinitz. Over the years, there have been different methods by which the world’s elite come to challenge the world champion. Initially, the chess world was similar to boxing: any challenger who could raise the funds could face the world champion. 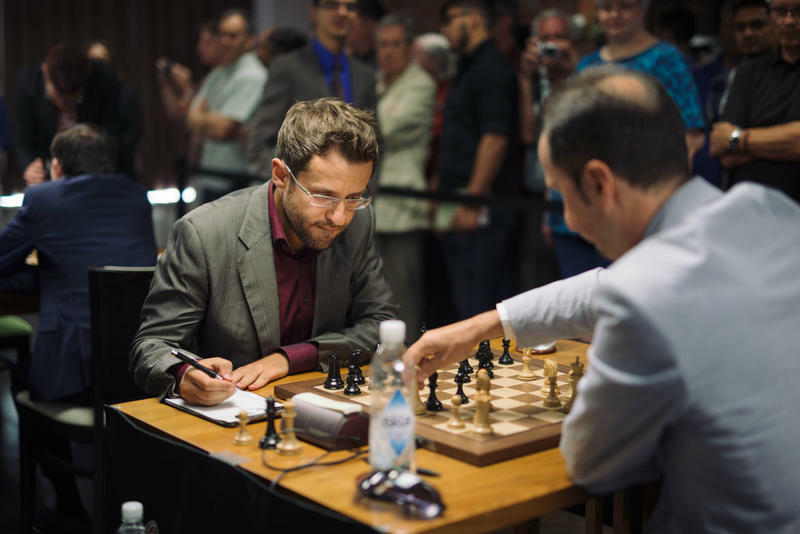 The first leg of the third annual Grand Chess Tour took place from June 21-25 in Paris. As it did last year, the tour kicked off with a rapid and blitz event. 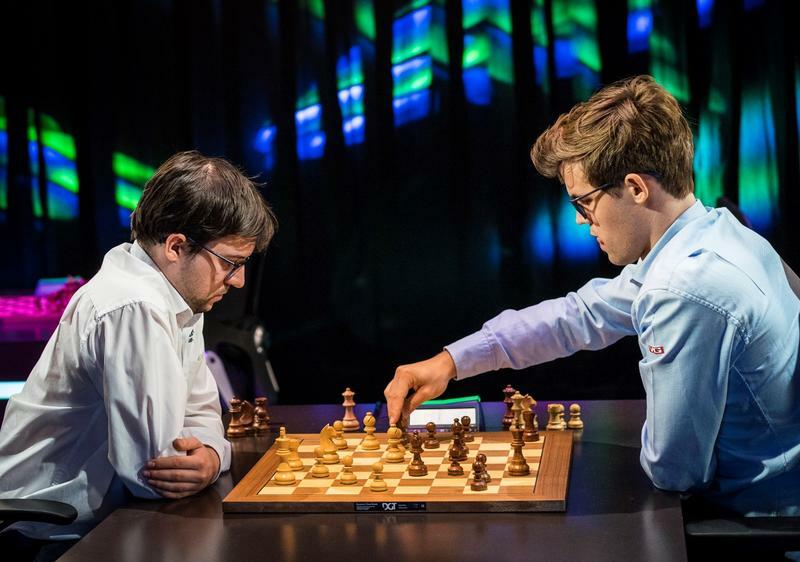 Five grueling days and 29 games later, World Champion Magnus Carlsen emerged as the winner. He collected 12 tour points and $31,250 for his efforts. At the first glance, the favorite competitor of the event coming in first place doesn’t seem exciting or interesting, but the final standings don’t tell the whole story. Between March 29 and April 10, the Chess Club and Scholastic Center of St. Louis hosted the 2017 U.S. 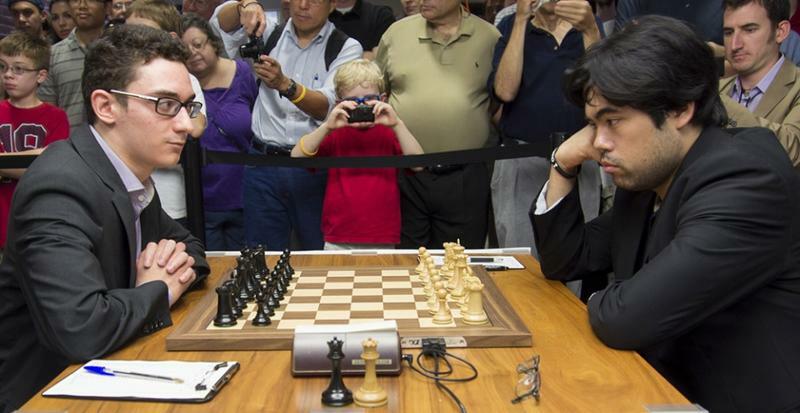 Chess Championship and U.S. Women’s Chess Championship, two of the most exciting events in the American circuit. This year, the events were stronger than ever, with three players out of the world’s top 10 participating in the open section, making it the strongest national championship in the world. 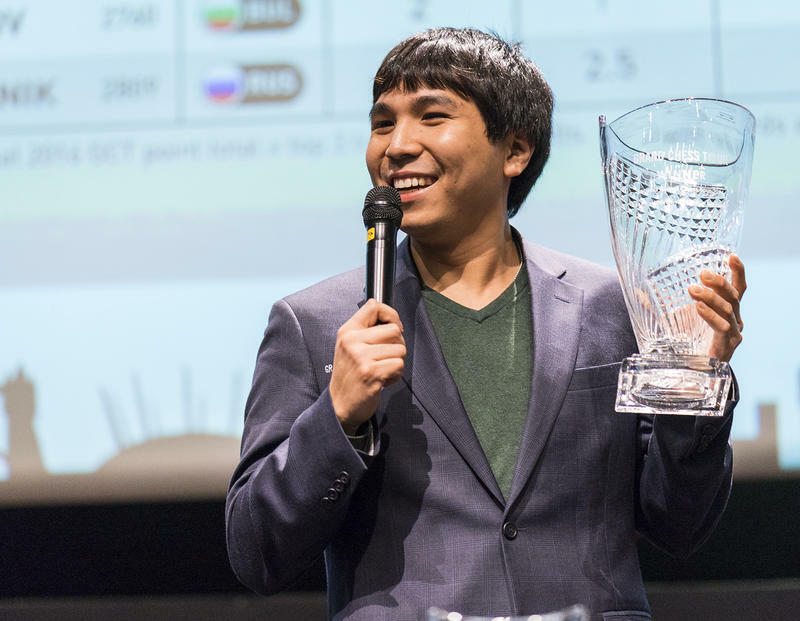 Just last weekend, Wesley So won one of the most prestigious chess events, the Tata Steel Chess Tournament held in the Netherlands. So faced a difficult challenge, with World Champion Magnus Carlsen and World Championship challenger Sergey Karjakin participating but, in the end, he won the tournament with a convincing full point lead. Every year the first and longest elite tournament starts in January: Tata Steel! The Wimbledon of Chess, as it is known, started Jan. 14 and ends Jan. 30. Traditionally held at the town of Wijk aan Zee in the Netherlands, this tournament attracts the best of the best. The event lasts for two weeks and 13 rounds, so physical fitness plays a crucial role in this prestigious tournament. Last year was a historic one year for chess. Magnus Carlsen defended his World Championship title in a tense showdown against Russian challenger, Sergey Karjakin. The USA won its first Olympiad Gold medal in 40 years. 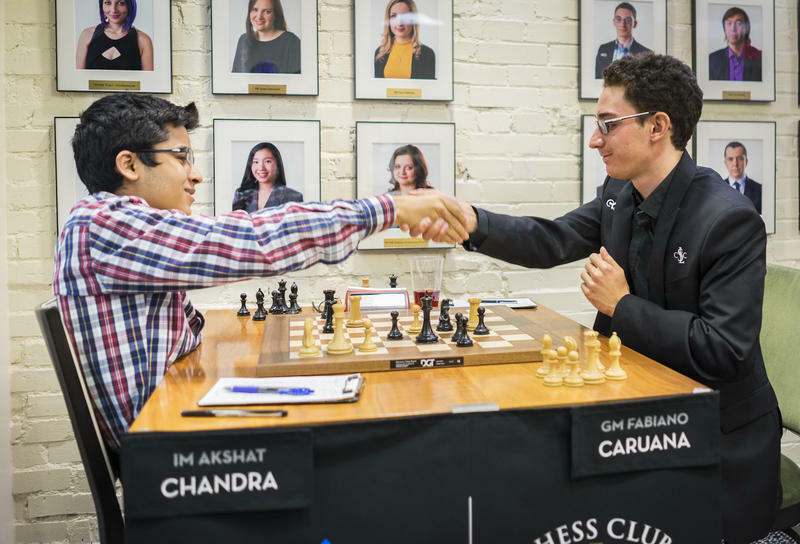 Fabiano Caruana and Nazi Paikidze each won their very first U.S. Championship and U.S. Women's Championship respectively. While it's hard to say what 2017 will bring, there are many exciting and prestigious events to look forward to. Mark your calendars now for some of the most highly anticipated events of the year. 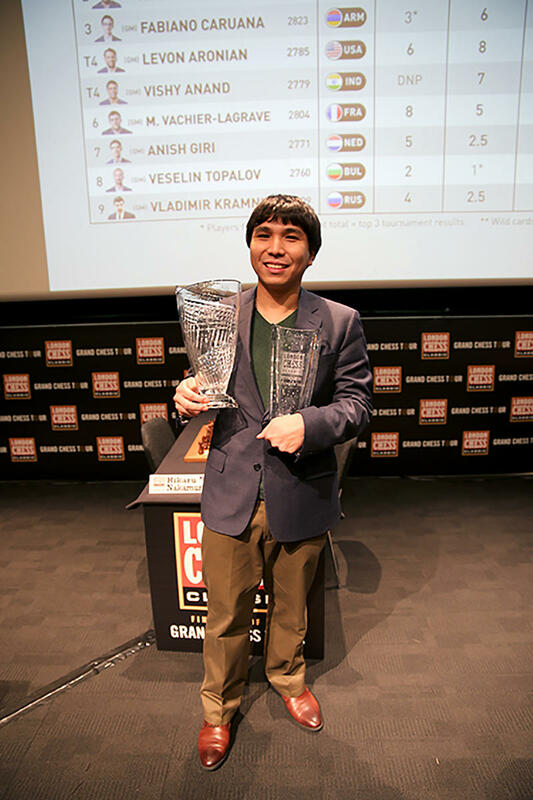 After the conclusion of the London Chess Classic, the last event on the 2016 Grand Chess Tour, there is one name that is front and center in people’s minds: Wesley So. 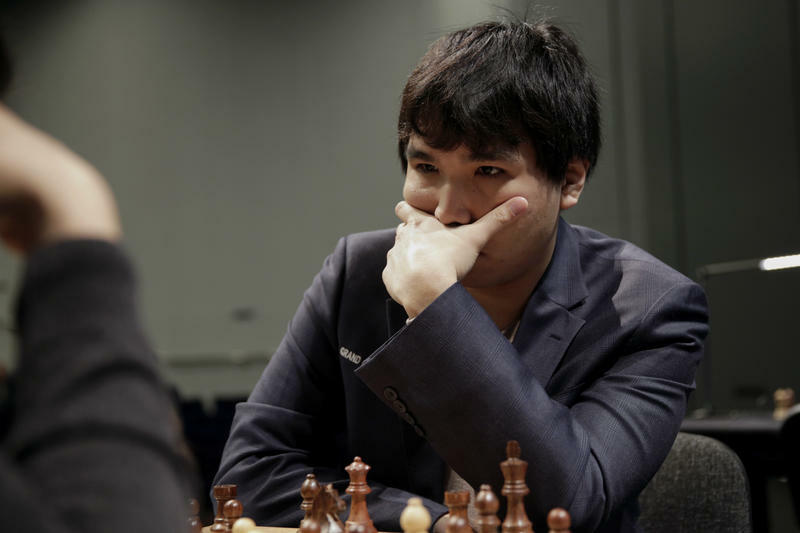 Not only did the American win the London Chess Classic, but he also secured his win of the entire tour with one round to spare. In addition, he became the 12th person in history to cross the highly coveted 2800 rating mark, climbed to the fourth spot in the world rankings and secured his position as the second highest rated player in the U.S.
Rio was not the only city to host an Olympics in 2016. Baku, capital of the oil-rich nation of Azerbaijan, just hosted the 42nd Chess Olympiad, over the last two weeks. The Olympiad featured more than 1,600 players from 180 countries. When the dust settled, the United States finished at the top, earning gold for the first time in 40 years. As athletes from all over the world are headed to Rio for the summer Olympics, the best chess players in the world will gather in the chess capital of the U.S. to battle it out over 64 squares. 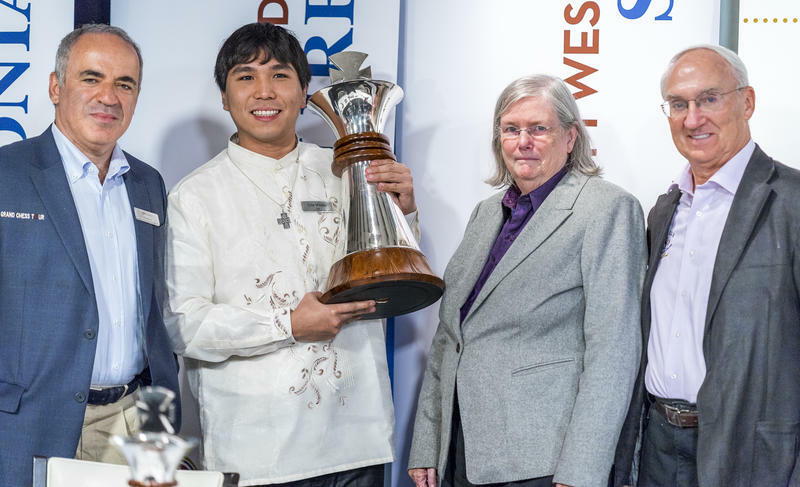 The Chess Club and Scholastic Center of Saint Louis will once again host the Sinquefield Cup. This year, the tournament runs from Aug. 5-16 and has a prize fund of $300,000. 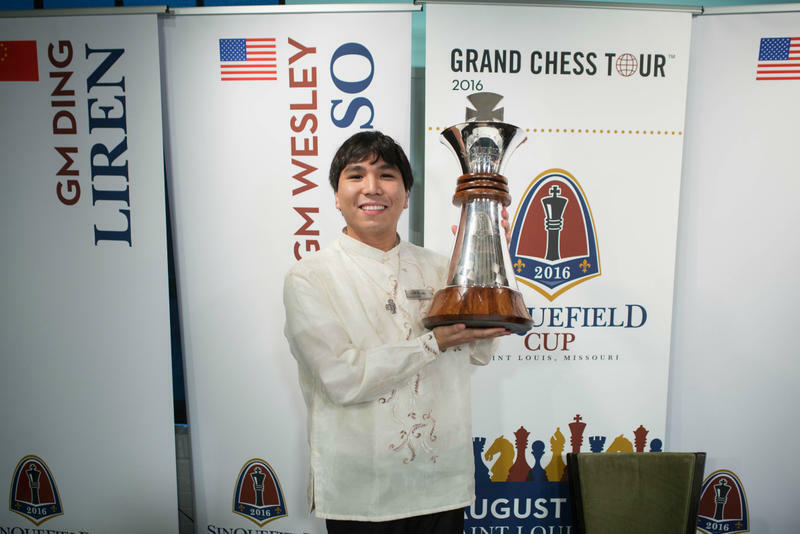 The chess world is awaiting the third leg of the Grand Chess Tour, the fourth annual Sinquefield Cup, to begin in St. Louis on Aug. 1. This series of four tournaments is spread over different parts of the world, attracting the very best chess players to test their skills against each other. Chess fans are in for a special treat today as the second annual Grand Chess Tour begins. This year, the tour will consist of four legs and will have a slightly different format than its predecessor. 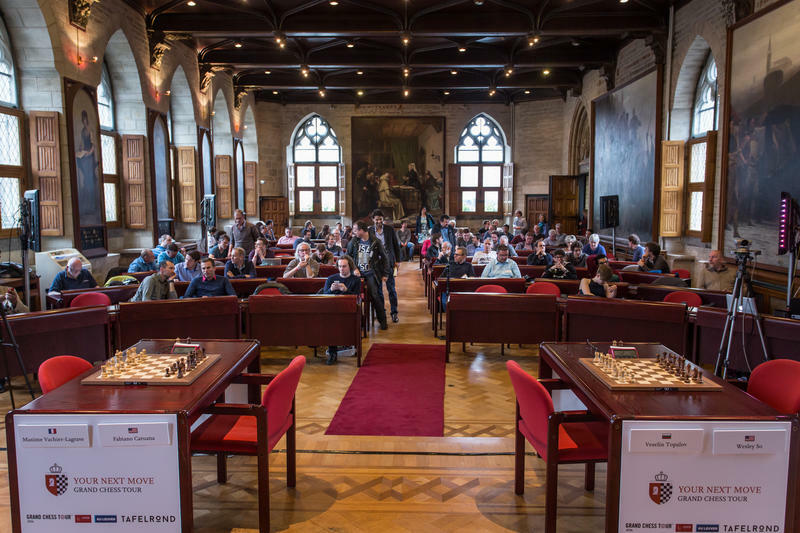 The first leg of the games will be June 9-12 with the Paris Grand Chess Tour; the second will be in Brussels-Leuven, Belgium June 17-20 with Your Next Move. The third stop on the tour is the Sinquefield Cup in St. Louis Aug. 4-16, and the final leg takes place in London Dec. 8-19. 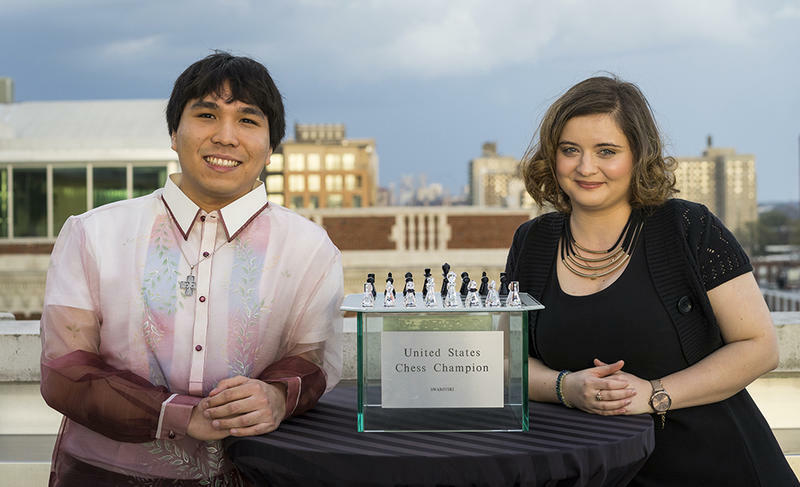 The 2016 U.S. and U.S. Women’s Championship ended April 25 but the chess tournament in St. Louis had one more surprise for the fans all over the world: the Ultimate Blitz Challenge! In what could easily be considered the most anticipated blitz event in the world, Garry Kasparov was summoned by the patriarch of modern chess, Rex Sinquefield, to take on the best players in American chess and arguably in the world. It was an exciting return from someone who many be considered the best chess player who ever played the game. The 2016 U.S. Championship and U.S. Women’s Championship that concluded April 25 will not only go down in the history books as the strongest event but also as arguably the one with the most dramatic finale. Entering the final round, both tournaments had one clear leader as well as one or more players trailing by half point. The tournaments were reaching their crowning moment, the players’ nerves were at their peak, and the tension could be felt in the air. April 13, 2016, will be remembered as the opening day of the strongest U.S. Championship and U.S. Women’s Championship in history. The excitement surrounding the Chess Club and Scholastic Center of Saint Louis is palpable. 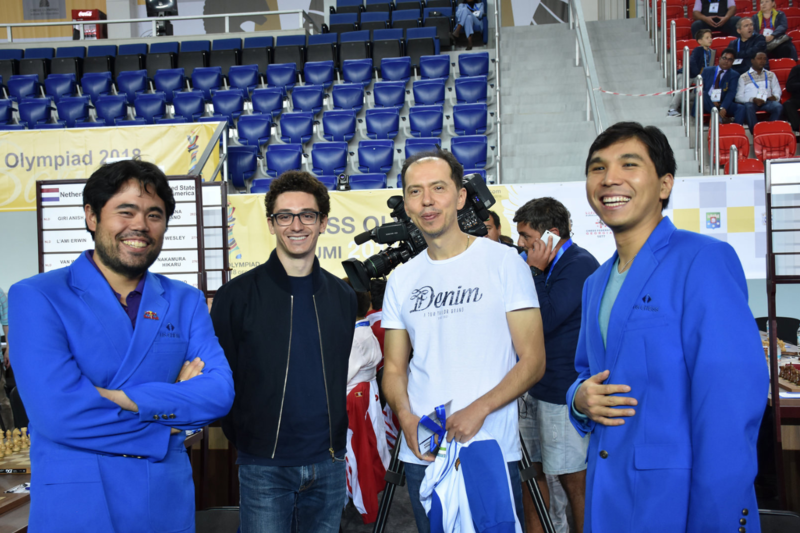 Players, coaches, commentators, journalists and fans from all over the world are eagerly waiting to feast on the chess spectacle that this event is going to bring to the table. The mixture of styles, age and experience that this year’s fields created are quite the delight for anybody interested in the royal game. In less than one month, the Chess Club and Scholastic Center of Saint Louis will once again become the most interesting chess club in the world. 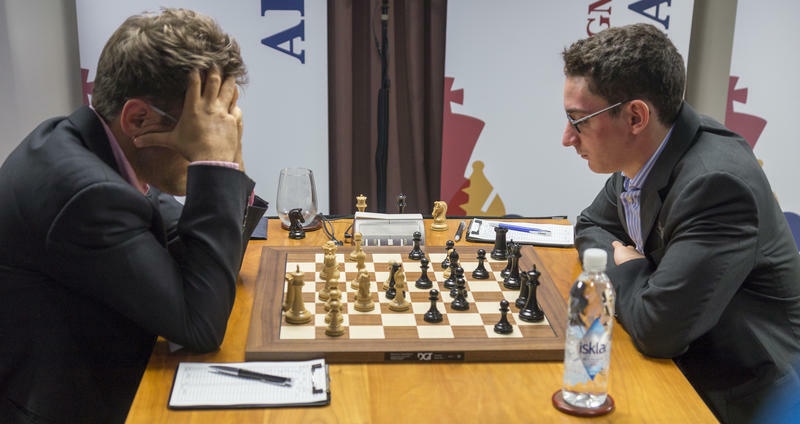 That is not because of some fluke; the American chess crème de la crème is set to step foot in the venue and engage in an unprecedented war over the chessboard. 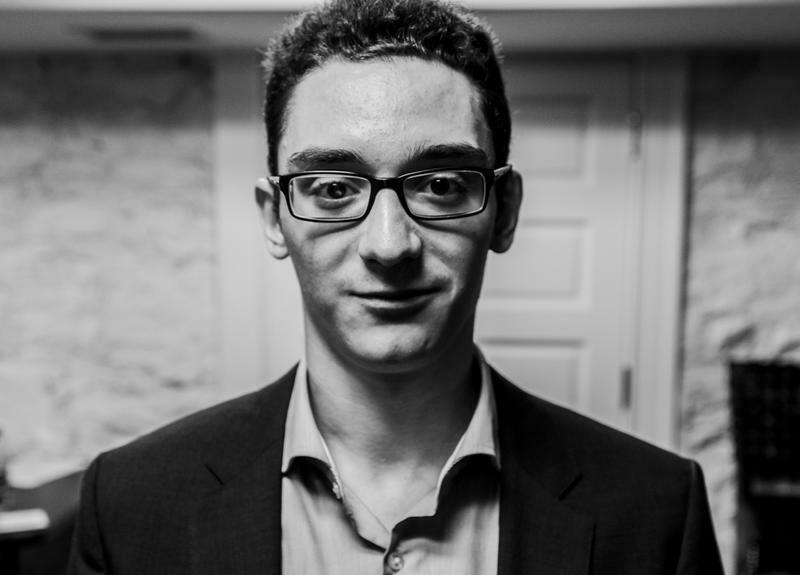 Fabiano Caruana is coming home. The world’s No. 3 Grandmaster has declared intentions to once again play under the American flag, applying for transfer to the U.S. Chess Federation on Tuesday. Assuming the paperwork process goes smoothly, the 22-year-old will reunite with the U.S. right here in the Central West End, at the 2015 Sinquefield Cup this August.